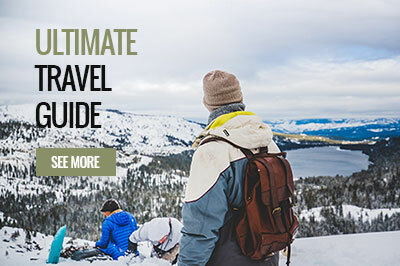 As you all know, travelling is quite the adventure and every once in a while, we all need a few tips to get us in the right direction. After all, there is nothing worse than heading miles out of our way when we are excited to see a certain destination! However, did you know that Google Maps offers much more than directions? Despite the fact that the internet is available in numerous places around the world nowadays, it doesn’t mean that you will have access to it everywhere that you travel. Traveling overseas may mean international charges and those charges can add up quickly if you are not careful. Therefore, you will want to take advantage of the helpful offline Google Map feature. You can open Google Maps on your phone, find the address that you want to go to, and then download the map to your phone. This offline feature is quite simple to use, and it can save you a lot of time, money, and stress during your travel. As you are traveling, you are going to want to visit numerous attractions just like everyone else. However, you may not want to be there at the same time as thousands of other people. Google Maps can assist you with finding a less busy time to visit the more popular sites. The app does this by displaying a bar graph that shows the normal busy and quiet times for that day and other days of the week. This feature is available for attractions, restaurants, stores, and more. While you can use this feature once you are on vacation, you can also use it prior to your trip as you are in the pre-planning stages and setting up your itinerary. It can always be a challenge to find a restaurant that serves delicious food while on vacation or a hotel that has extraordinary customer service. Google Maps will make this process much easier by offering recommendations. You can search Google Maps within a specific city and then click on nearby to find all the top-rated restaurants, hotels, pubs, coffee shops, boutiques, and other attractions you are looking for. This is a perfect solution for when you are searching for that morning cup of coffee, amazing end of the day meal, or the best place to meet a group or friends for a drink. The Timeline feature is something that you will love, because it allows you to go back and relive your entire journey in detail. To make this feature work the best, you will need your location tracking on, so that it will mark everywhere that you go. This is so much better than keeping a journal as you are traveling, because you will not need to stop to take notes or write down important information. It will all be right at your fingertips when you return home or even years in the future. What is even better is if you utilize Google Photos, all your photos and videos will attach to the places that are marked on your timeline. Google Maps is full of 360-degree photos of numerous places around the world and you can take advantage of them all. You can look at any photo and get a true feel of anywhere that you want to go, which is so much better than reading an online review. These photos will show you what an entrance looks like, what area of an attraction is photographed the most, and where you should stand to get your own fabulous picture of an attraction or destination. The options are endless with every one of the 360 photos that Google Maps has available and you can use them to make your trip better than you could have ever imagined. Traveling has improved immensely since smartphones and Google Maps were invented. After all, it has made it easier to venture from Hanoi to Halong Bay or Barcelona to Valencia or Rome to Venice without the need of a paper map. Try out the five tips above when using Google Maps on your next travel adventure and see how much better your trip is. We guarantee that you will never look at Google Maps the same ever again.